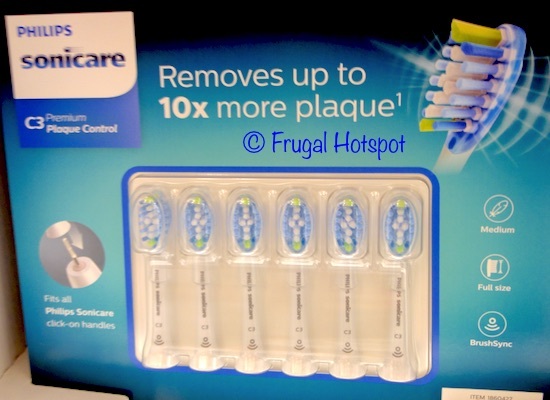 This works with the Philips Sonicare click-on rechargeable toothbrush handles. 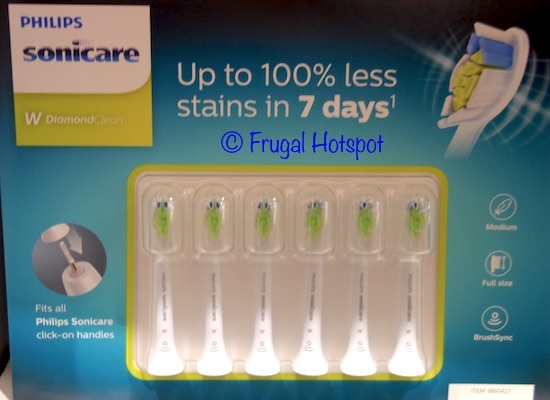 Select Costco locations have the Sonicare Brush Head 6-Pack DiamondClean or Plaque Control on sale for $39.99 (after instant savings), from April 17, 2019 through May 12, 2019. That is $10 off Costco’s regular price of $49.99. While supplies last. Price and participation may vary by location. Item #1860427.